Home security is an essential consideration for every homeowner or tenant on the planet. You need to feel safe in order to feel comfy and cozy in your home. There are plenty of ways to keep yourself and your London home secure, including CCTV, which is a proven and reliable method of helping you to keep the burglars at bay. Though less than 10% of British homes use CCTV, it’s becoming an ever more popular security choice, and one which is effective at helping homeowners to feel safe. First of all, CCTV is a massive deterrent. If burglars see CCTV installed outside of your home, they’ll be much less likely to attempt an intrusion. No burglar wants to get caught, so the prospect of being identified via CCTV is enough to keep most opportunists away. If you’ve considered dummy cameras, it’s best not to bother – most burglars have a keen eye and know the difference between the real deal and imitating imposters. CCTV around your home also offers invaluable peace of mind. If your CCTV is fully functional, well-built and properly maintained, you and your family will feel much more safe and secure, which is priceless. If peace is your priority, CCTV is a good investment. The most obvious perk of CCTV for your London home is in the event of any unfortunate incidents. If you are broken into or experience a robbery, the criminal is far more likely to get caught and the case will be closed. There may also be an advantage for insurance purposes. Your insurance company may offer reduced premiums if your home is fitted with CCTV and it could also ensure they pay out when you claim for stolen or damaged property. Good CCTV offers high-quality images which serve as irrefutable evidence. When using CCTV, it’s important to remember that it functions best when combined with other security measures. 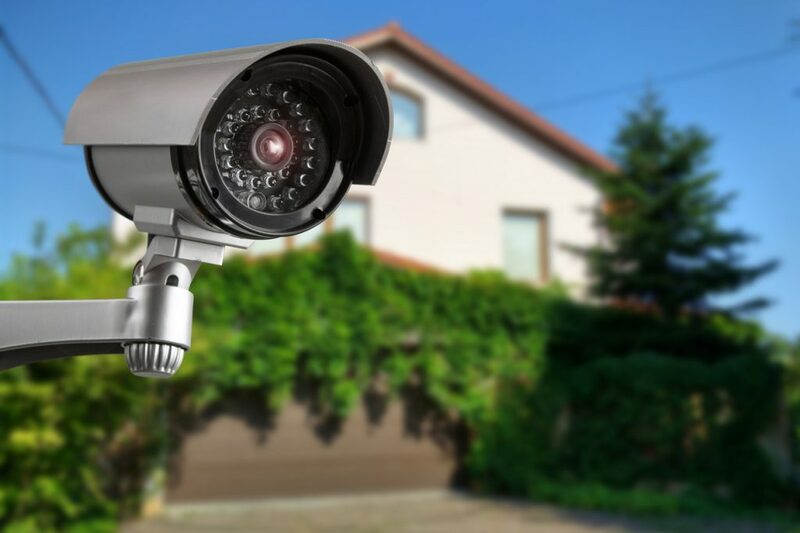 If you use home CCTV alongside good lights, alarms and well-secured windows and doors, your property becomes the safe haven you need it to be. There are many home CCTV options to cater for all budgets, locations, and needs. Options include remote access, night vision, motion sensors and more, so there are plenty of models to choose between. It’s also essential to work within the relatively new boundaries set by the government, which were introduced in 2013. We work strictly and stringently within these guidelines. We’ve been supplying London homes with CCTV for a long time and serving the local community for more than thirty-five years. We’re helpful, reliable and friendly. Get in touch.